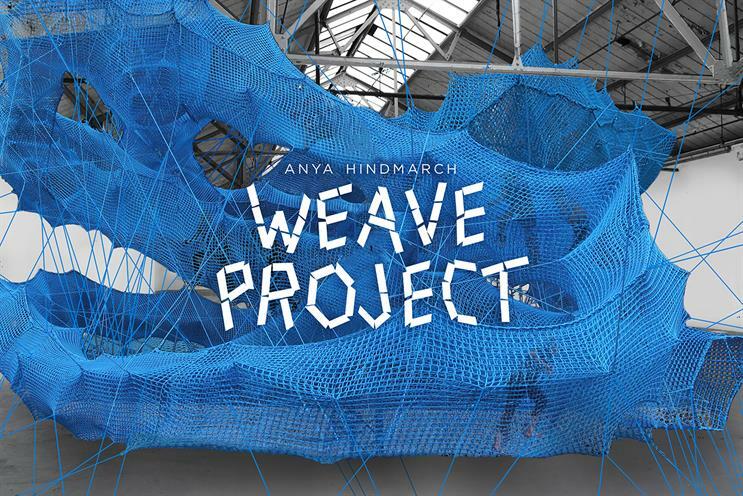 'The weave project' follows last year's 'Chubby cloud'. Fashion accessories designer Anya Hindmarch is staging an immersive art installation at the Brewer Street Car Park to mark London Fashion Week. "The weave project" is planned to coincide with the launch of an updated version of the designer’s Neeson tote bag that takes several days to make. The centrepiece of the four-day activation is "The tube", an art piece constructed from woven mesh that visitors can walk and climb through. Hindmarch said: "'The weave project' will be a completely immersive and playful installation that you can experience from the inside out. Following on from the 'Chubby cloud', we like to take our customers on the journey behind the inspiration for our collections – in this case, the Neeson. This is a beautiful sculpture and a complex project to bring to life, but one that I can’t wait to share." The ticketed event will run during 16-19 February. "The tube" was created by artists collective Numen/For Use.